Virginia's Democratic Gov. Ralph Northam is facing a growing tide of calls for resignation Friday night after a photo depicting two men, one in a Ku Klux Klan robe and another in blackface, appeared on a medical school yearbook page with his name on it. 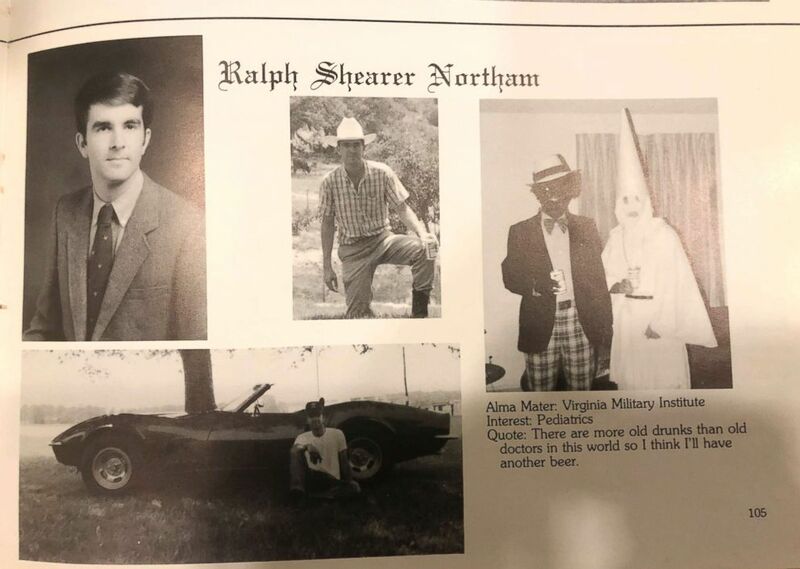 The picture appeared in a "student-produced" publication in 1984, according to Jennifer McCarrell, the director of marketing and communications at Eastern Virginia Medical School (EVMS), where Northam is a graduate. "I can confirm that the picture in question does appear in a 1984 student-produced publication," McCarrell wrote in an e-mail to ABC News. "The EVMS library is open to the public and does provide access to its materials." (Eastern Virginia Medical School via AP) This image shows Virginia Gov. Ralph Northam's page in his 1984 Eastern Virginia Medical School yearbook. The page shows a picture, at right, of a person in blackface and another wearing a Ku Klux Klan hood next to different pictures of the governor. It's unclear who the people in the picture are, but the rest of the page is filled with pictures of Northam and lists his undergraduate alma mater and other information about him. The page in question is emblazoned with the name "Ralph Shearer Northam" at the top. In a statement released Friday evening, Northam apologized and acknowledged that he is one of the men depicted in the photo. "Earlier today, a website published a photograph of me from my 1984 medical school yearbook in a costume that is clearly racist and offensive," Northam wrote, "I am deeply sorry for the decision I made to appear as I did in this photo and for the hurt that decision caused then and now." However Northam did not say that he would be resigning his post as governor, and did not say whether or not he was the person in the Ku Klux Klan robe or the one in blackface in the photo. (Steve Helber/AP, FILE) Virginia Gov. Ralph Northam prepares to address a news conference at the Capitol in Richmond, Va., Jan. 31, 2019. "I recognize that it will take time and serious effort to heal the damage this conduct has caused. I am ready to do that important work. The first step is to offer my sincerest apology and to state my absolute commitment to living up to the expectations Virginians set for me when they elected me to be their Governor," Northam added. Northam also released a video message Friday evening, further apologizing for the video, and adding that he intends to fight to earn back the trust of Virginians. "I accept responsibility for my past actions, and I am ready to do the hard work of regaining your trust," Northam said in the video, "I have spent the past year as your governor, fighting for a Virginia that works better for all people. I am committed to continuing that fight for the remainder of my term, and living up to the expectations you set for me when you elected me to serve." The Democratic Caucus in both the Virginia House of Representatives and Virginia Senate have called on Northam to resign. Senate Democrats released a statement saying, in part, "It is with heavy hearts that we have respectfully asked him to step down." Democratic presidential candidates, including California Sen. Kamala Harris, Massachusetts Sen. Elizabeth Warren, New Jersey Sen. Cory Booker, New York Sen. Kirsten Gillibarnd and former Housing and Urban Development Secretary Julian Castro have called on Northam to step down. Calls from other prominent groups on the left for Northam to resign began to emerge Friday night as well, including from MoveOn, a leading progressive group, and Gut Cecil, the head of Priorities USA, a major Democratic super PAC. Derrick Johnson, the president of the NAACP, also called on Northam to resign. Northam was elected in 2017, defeating former Republican Party Chairman Ed Gillespie, in a year in which Democrats nearly retook the Virginia House of Delegates for the first time in decades. These pictures are wholly inappropriate. If Governor Northam appeared in blackface or dressed in a KKK robe, he should resign immediately. Numerous high-profile Democrats, including former President Barack Obama and former Vice President Joe Biden, campaigned for Northam. The head of the Virginia Republican Party called on Northam in a Friday statement to resign if the governor is, indeed, depicted in the picture. "Racism has no place in Virginia,” said Virginia GOP Chairman Jack Wilson. "These pictures are wholly inappropriate. 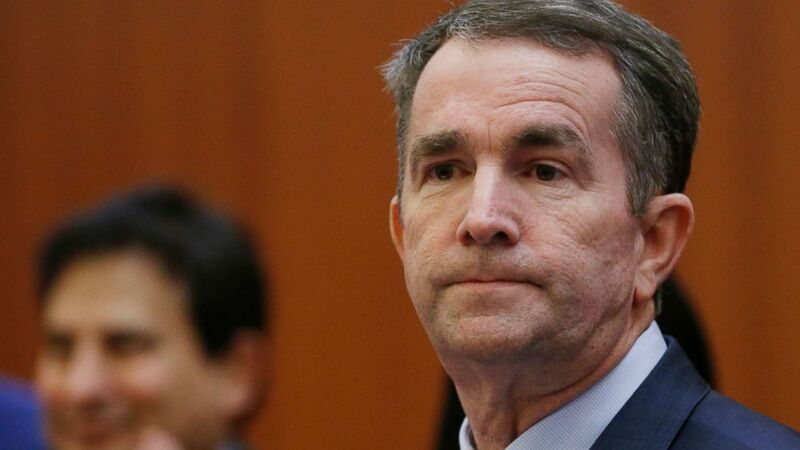 If Governor Northam appeared in blackface or dressed in a KKK robe, he should resign immediately." Under the Virginia Constitution, if Northam resigns, he would be succeeded by his Lt. Gov. 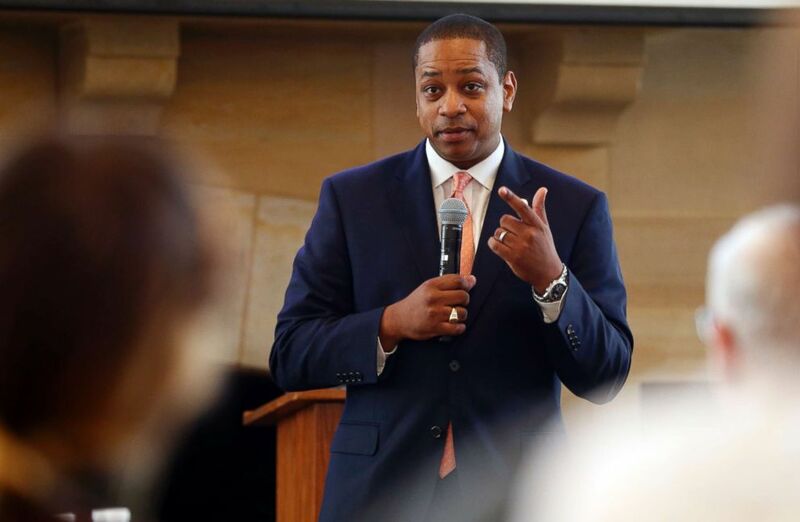 Justin Fairfax, a 39-year-old African-American former lawyer who is considered a rising star in Virginia Democratic politics. A spokesperson for Fairfax declined to comment to ABC News on the yearbook photo controversy.